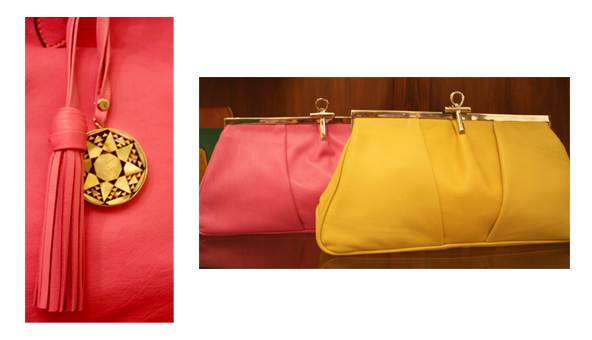 Out of her passion for handbags, Mrs. Nadia Zarkani founded in 2009 a handbag label called Nuniz. When she invited me to the Nuniz Showroom, I had the opportunity to talk to her about her label and the challenges connected with the fashion business in Egypt. 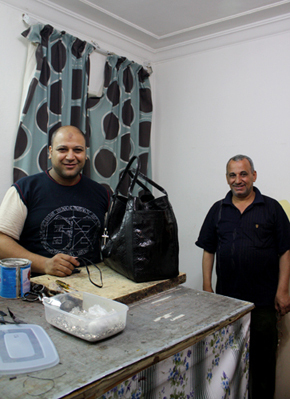 I also had the chance to have a look in Mrs. Zarkani’s workshop where I met some of the gentlemen who handcraft the Nuniz bags with so much care and talent. In the beginning Mrs. Zarkani’s workers were only used to copy bags, so one of her first challenges was to convince the workers that self designed bags are worth to be produced. In general, the idea of self designed and handcrafted fashion goods is more or less new to the Egyptian market. Thus most people associate rather traditional Khan El Khalili products with Egypt than innovative design and fashion items. 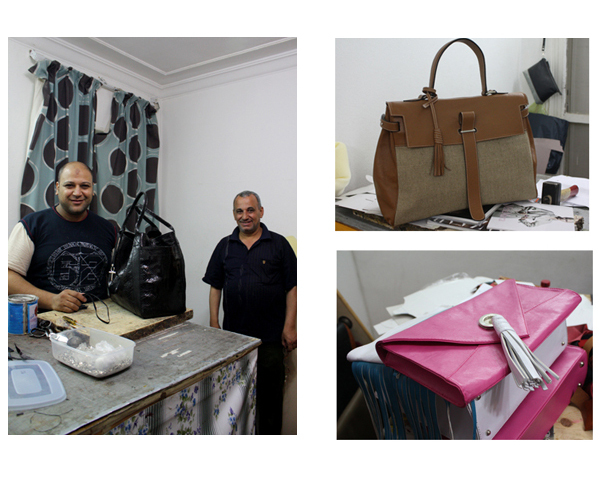 But over time, Mrs. Zarkani successfully found her way and started to design and produce high quality leather bags from Egyptian materials. With the event of the Egyptian Revolution, business was stopped for a while and the question was how to continue. Mrs. Zarkani decided to, “close her eyes and pretend that nothing happened.” With this attitude in mind, instead of slowing down, the summer collection went into production with bright colours, while black and brown could have been a safer choice. Besides to keep the label alive and make-a-living it was also her goal to protect her workers’ future and with that, support Egypt’s tumbling economy. The decision to continue forward turned out to be the right one as people continued to buy her products. At the same time the founding of the corporate brand, House of Egypt, took place, with Mrs. Zarkani as one of the initiators, to help promote Egyptian design and labels (more on that in an upcoming post). So far the labels of House of Egypt had besides local events in Cairo also a presentation of their work at the Egyptian embassy in Paris. Nuniz summer collection has two main characteristics: timeless shapes and bright colours. 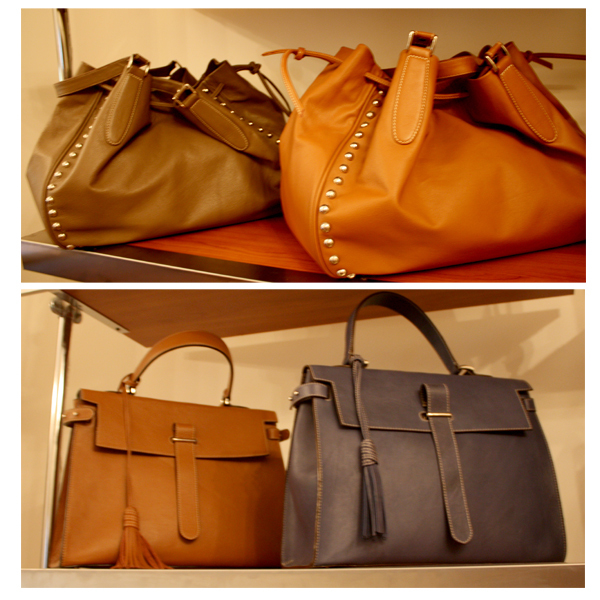 This season’s favourite is a very roomy tote bag which comes in several colours such as green, pink and yellow. It’s exactly the one I fell in love with at Amuse and bought later on. A unique character to all the bags is guaranteed through details like a marquetry pendant or a key of life closure referring to Nuniz’s Egyptian roots. And besides the fashionable design it’s also taken care of functionality. E.g. the side pockets of the bestseller tote bag: they are a true life saver as I can find my cell and key instantly now. To meet Ms. Zarkani and get to know her story was so far one of my most hopeful post revolutionary Egypt experiences and convinced me fully that there is definitely more to come from the Egyptian fashion scene. I am looking forward to it! This entry was posted in Bags, Cairo, Fashion, Labels and tagged Cairo fashion, Egyptian design, egyptian handcraft, House of Egypt, Nuniz. Bookmark the permalink. 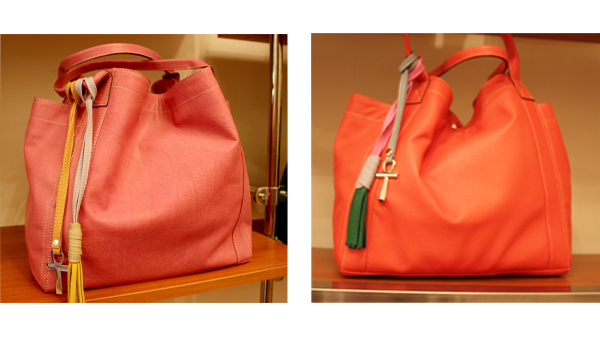 I would like to purchase the pink and orange Egyptian bag. What website will i go to to place an order? Hi there! I bought my bag directly in Cairo but what you could try is to contact Nadia via her website http://nuniz.com/home.swf or via facebook: http://www.facebook.com/groups/56339666276/ I Hope you are going to be successful!